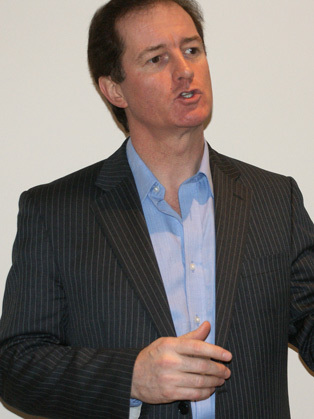 Roger Flynn is an accomplished businessman and expert in transformational change having gained unique experiences as the CEO/Director leading such change in five global brand name companies. He has run businesses with revenues of up to £2 billion, millions of customers and many thousands of staff worldwide. Roger is currently Chairman of Olive Communications, a company offering converged communications solutions and Chairman of loveholidays.com, the UK’s fastest growing online travel agency as well as an investor in a number of media and technology businesses. Following a successful MBO with Warburg Pincus, Roger ran the European and Asian businesses of SDI Media Group, a global film and television business with operations in 32 countries and completed a series of acquisitions and eventual sale of the business. Roger was Chief Executive of BBC Ventures Group which comprised of three businesses with 4,500 staff created from the back-office service functions of the BBC. He ran all of the media services for the BBC and other broadcast/IT customers around the world. Roger’s transformation and subsequent sale of these businesses created over £1 billion of value for the BBC. Roger was also on the Main Board of the BBC and an integral part of the BBC-wide transformational change programme. “Roger achieved a remarkable turnaround and created real value in the Ventures businesses”. - Greg Dyke, BBC Director General. Roger was General Manager World Sales & Distribution at British Airways where he transformed the Airline’s distribution system to tackle the costs of £1.2 billion, launched electronic ticketing and created ba.com with a simultaneous launch in 72 countries across the world. Roger was Commercial Director of Virgin Communications, the media arm of Virgin Group, working on the launch of Virgin Radio, the development of its’ global post-production business and the rapid growth and sale of Virgin Interactive Entertainment. Prior to this role he was worked directly for Sir Richard Branson on deals and new business ideas. A fabulously exciting and entertaining 7 years at the foundation point of his career. Roger brings a wealth of experience as a practitioner in transformational change. His insights, solutions and stories have proven invaluable to organisations around the world. Roger Flynn is an accomplished businessman and keynote speaker with unique experience as CEO/Director in five global companies. Hi Roger, Thanks again for coming out to speak to RBS. Everyone spoke very highly of you. Your talk was spot on for what the group needed. Your talk at the Waterfront for the MLN Event was exceptional, inspirational and I am sure you made a difference to many in that room. Thank you so much for all your efforts to make the conference such a resounding success. The 850 delegates were really impressed with both the substance and significance of your presentation and achievements. Thank you for a terrific job! Roger was clear, concise, and had an easy and open style. He reflected his considerable change management experience and told a compelling story which gave practical insights on how leaders needed to change their behaviour to drive change in the business.